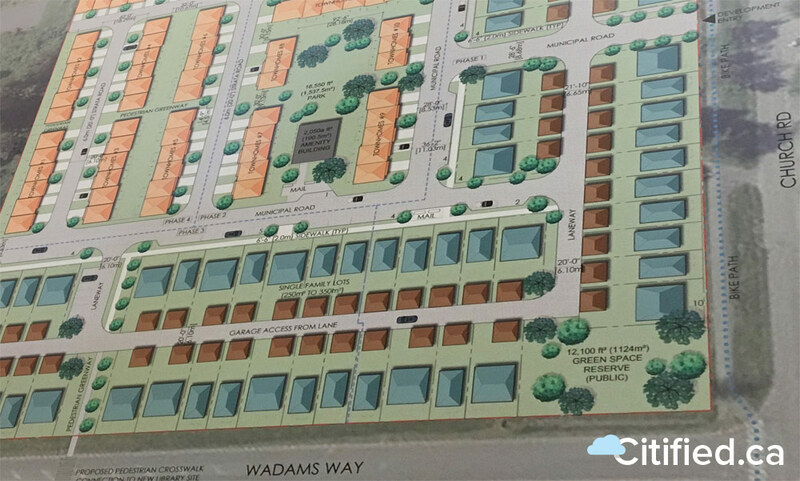 A site plan depicting most of the housing envisioned for 2182 Church Road at Wadams Way north of Sooke's town centre. Vancouver-based Aragon Properties has plans to build approximately 80 townhomes and 53 single-family residences on the multi-acre site. Nestled between the Strait of Juan de Fuca and miles of Vancouver Island rainforest, Greater Victoria’s oceanside suburb of Sooke is a community on the cusp of a real-estate boom as growing numbers of families, retirees and empty-nesters look beyond the region’s urban core to an authentically west coast lifestyle. With south Island real-estate prices pushing home ownership out of reach for many, the rush of newcomers to the aptly-coined ‘affordable homeownership frontier of the Capital Region,’ Sooke is still positioned as Victoria’s last stand of competitively-priced real-estate.